Santa Fe's oldest and finest tour company, Loretto Line, welcomes you to our new website. If you are looking for professionally-guided day tours in and around Santa Fe with experienced and passionate tour guides, you have come to the right place. No one does sightseeing in historic Santa Fe better than the Loretto Lines. 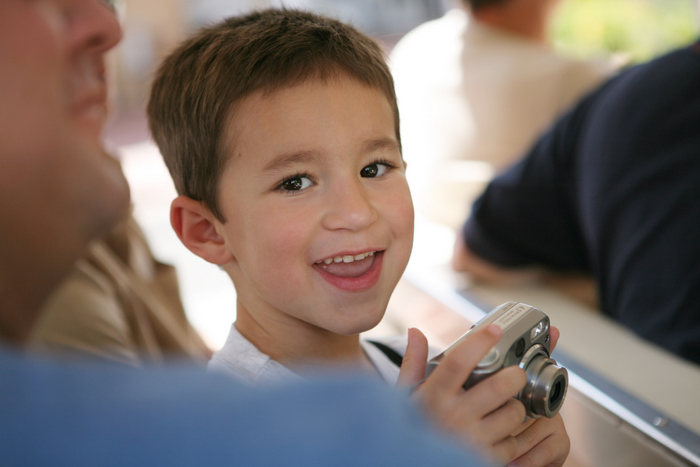 Adults $20, Children under 12 with parent $15. Santa Fe's most popular sightseeing company since 1992, Loretto Line has recruited the best seasoned tour guides in Santa Fe. Our team of guides has been chosen for their enthusiasm, personality, academic backgrounds and professional experience, and are among the finest tour guides you will find anywhere. 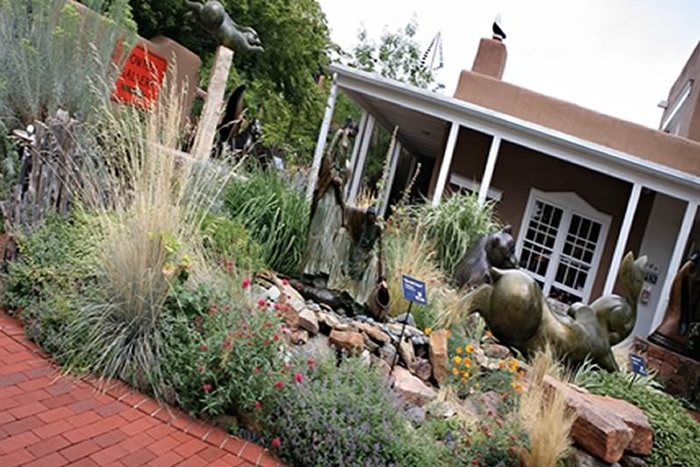 Our Santa Fe guides are extensively trained, and many have in-depth knowledge in specialized areas such as archaeology, architecture, Santa Fe art and galleries, and the history of Santa Fe. Our burgundy and white open-air trams are a familiar sight in Santa Fe, whether on the road or parked near the historic Loretto Chapel. Famed for its miraculous staircase, the world-renown Loretto Chapel is our home base. 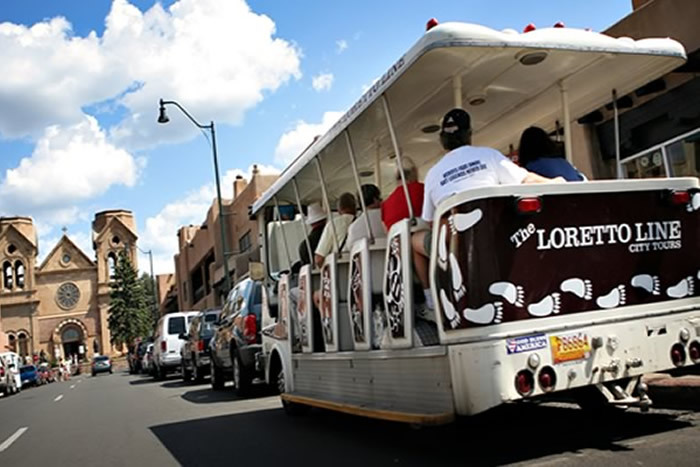 Our tours leave from the Loretto Chapel and from La Fonda, the historic downtown Santa Fe hotel, three times a day. We cover an eight mile loop in our open air tram that includes the most important historical areas in Santa Fe, including Canyon Road and its colorful art galleries, Santa Fe's Museum Hill area, the historic Santa Fe Plaza and the Palace of the Governors, and other notable locations in the heart of the oldest capital city in the United States.